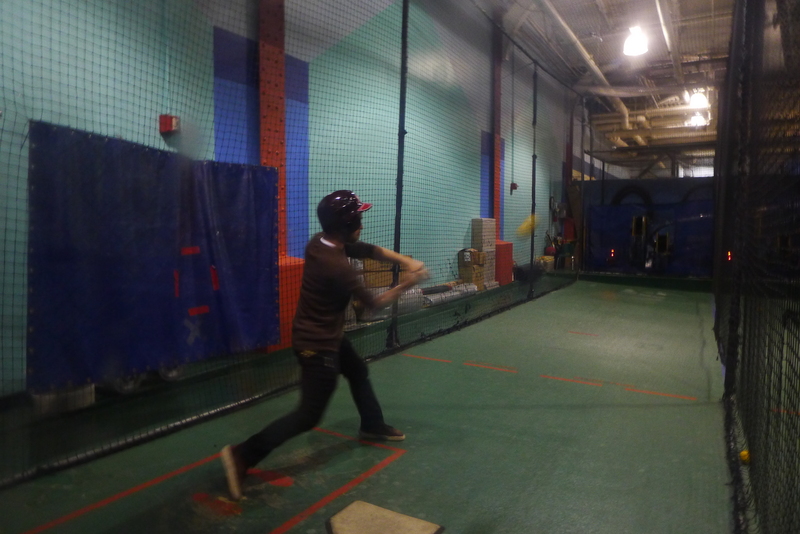 After watching the Nats’ questionable form on Sunday, I wondered how hard it could really be. 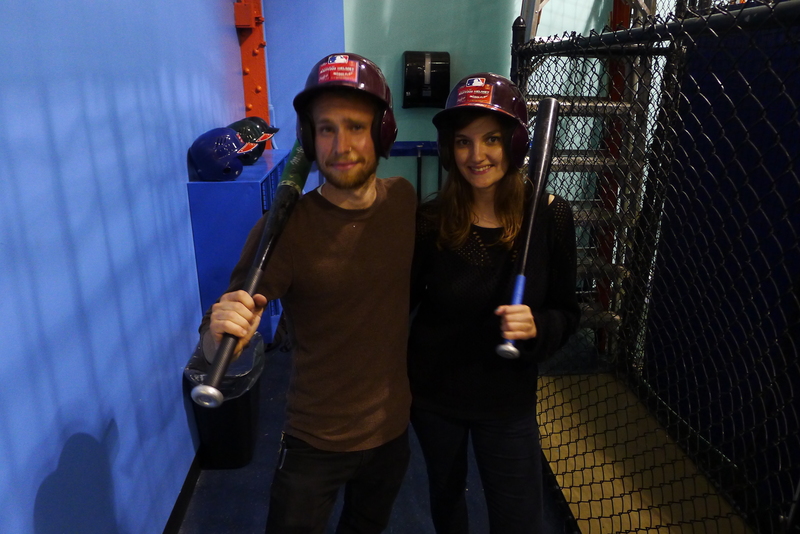 Tonight I headed to the batting cages at Chelsea Pier with Noah and, if possible, I put on an even worse show than I saw at the weekend. Chelsea Piers have everything – skate parks, football pitches, rooms made entirely of ropes and squidgey foam for gymnasts. 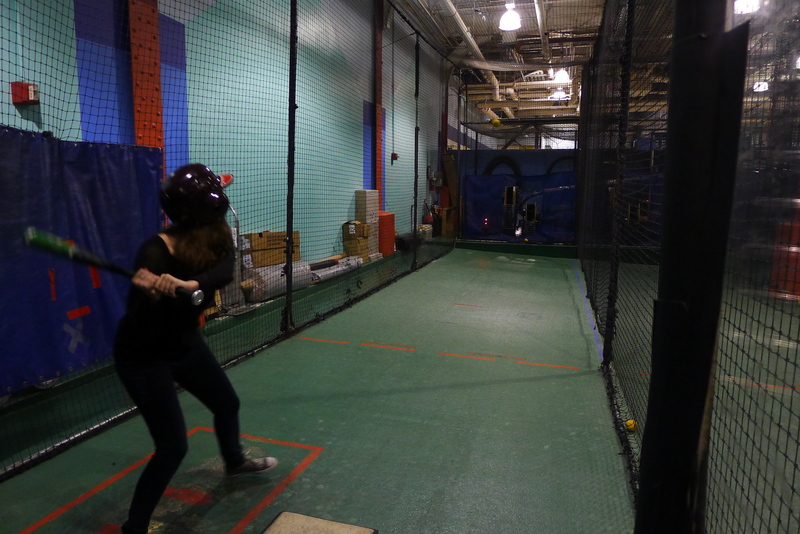 They also have around six batting cages with varying speeds for lefties and righties. We opted for the slow one for righties, and bought 30 pitches each (which was around $16 in total). 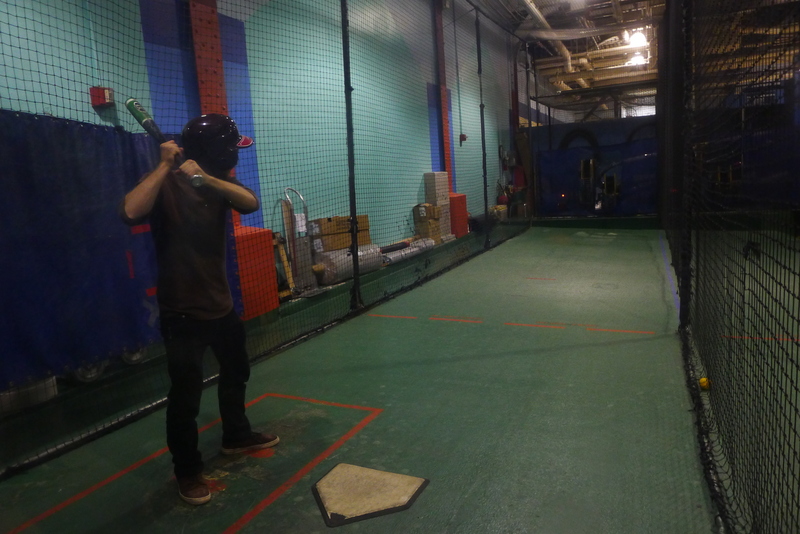 We made friends with two burly Jersey baseballers who gave us tips (‘put your hands closer together!’, ‘you gotta keep your balance, you’re choppin it’) and then politely looked away when I asked them not to watch. I missed the first three entirely. 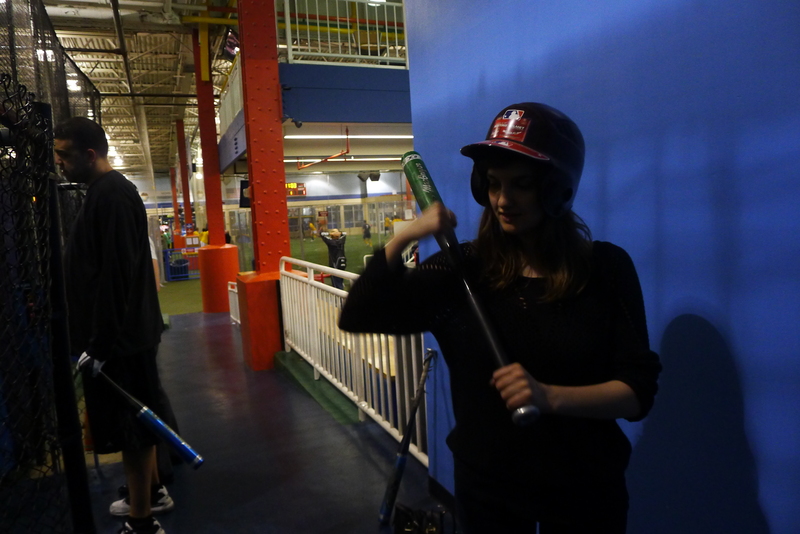 After that, I made contact with every ball but most would have been outs – although I reckon a couple would have got me to first base. Noah was far more impressive and looked like a proper one. What a brilliant activity. 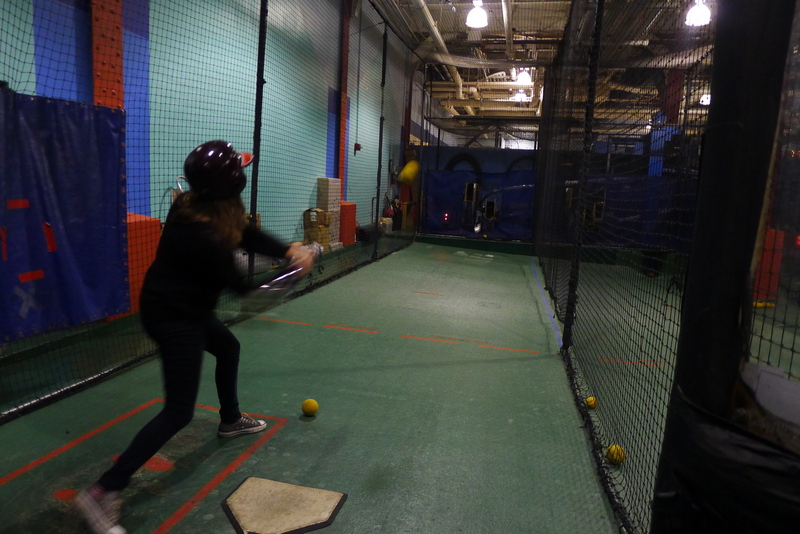 The batting cages are open until 10pm and they’re not massively busy, so it’s the sort of activity you could do easily within an hour. Maybe the Nats should give it a go some time.